I love music wall sticker. 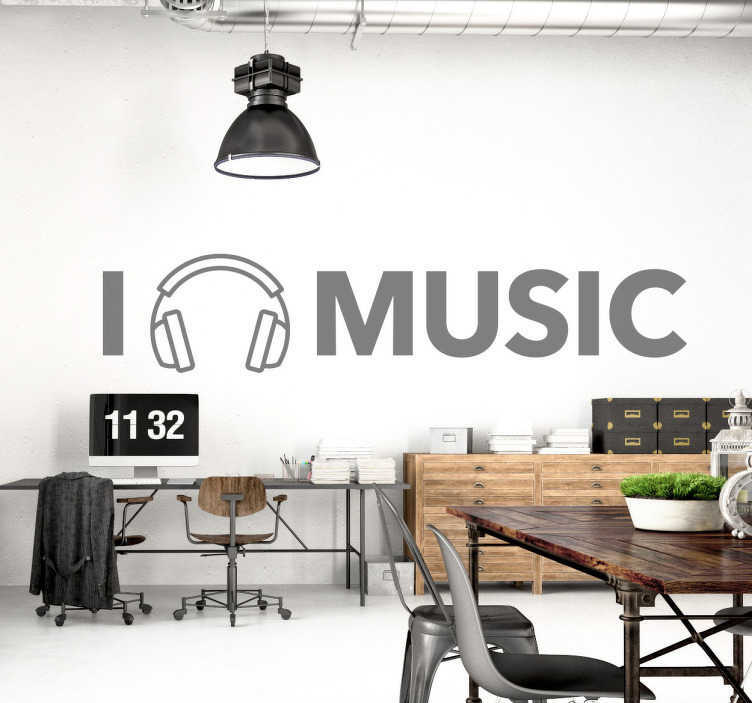 This great text wall sticker is perfect for people who love listening to and creating music. The love part of the text is cleverly replaced with a pair of headphones. This music wall decal is especially suitable as a wall decoration in a teen's room or child's room and ensures a friendly and playful ambience. Like all our stickers, this design is available in many different sizes and colours.